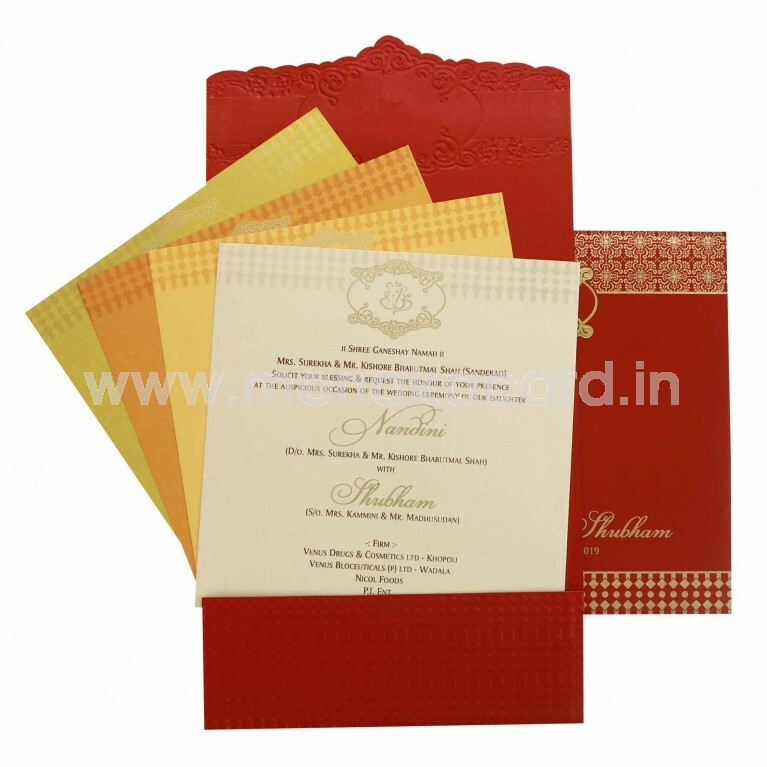 This gorgeous red laptop folding card is made from a semi-matte finish red shimmer board. 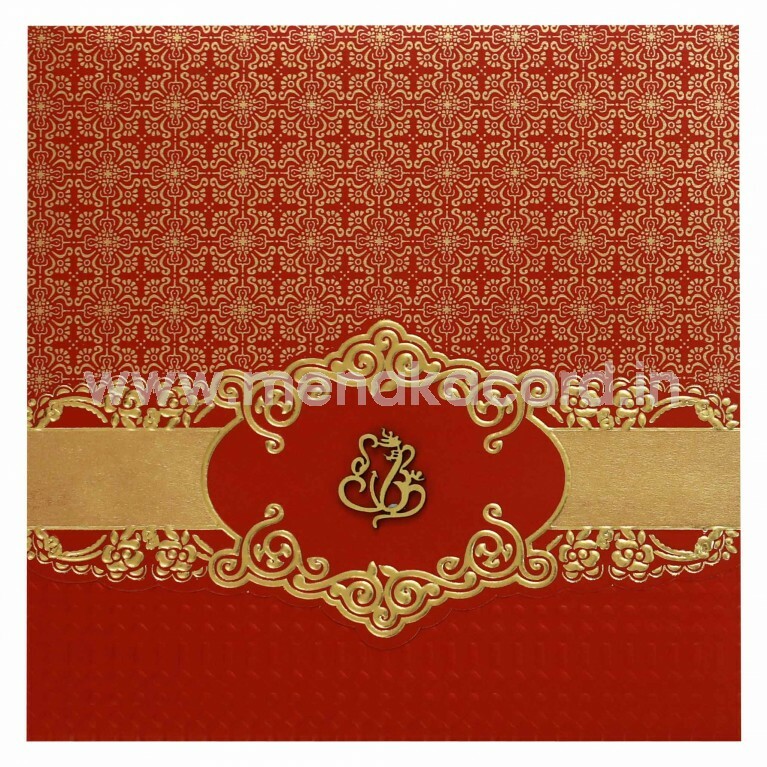 The main flap of the card carries an elegant damask lancer pattern on the front above gold decorated ornamental banner which houses a beautiful gold Laser Ganesha sticker. 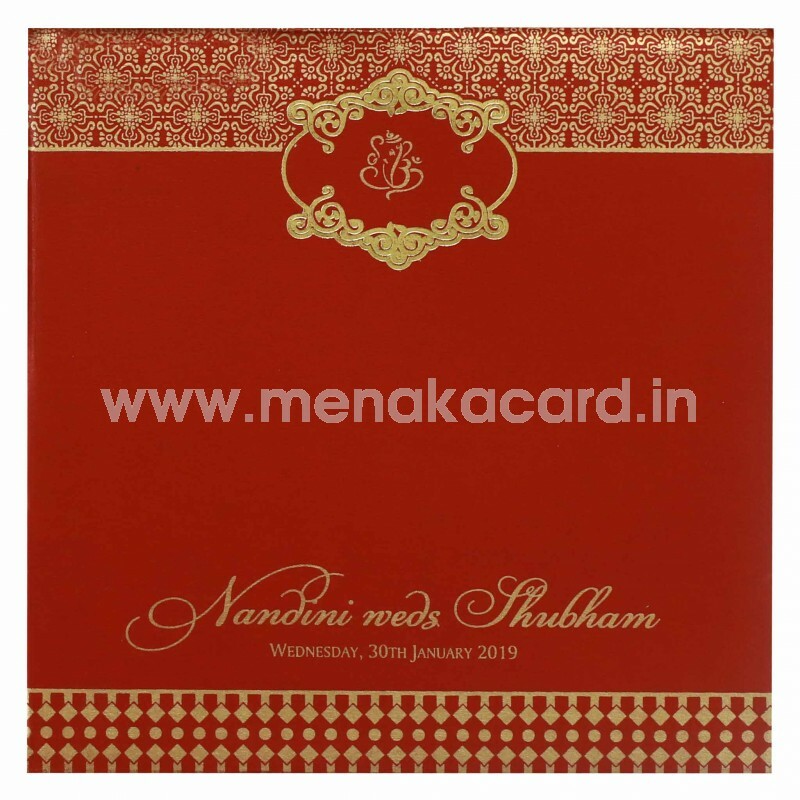 The bottom flap of this card contains geometric patterns embossed into it and holds a default of two inserts that come in four colour options of cream, yellow, orange and gold. 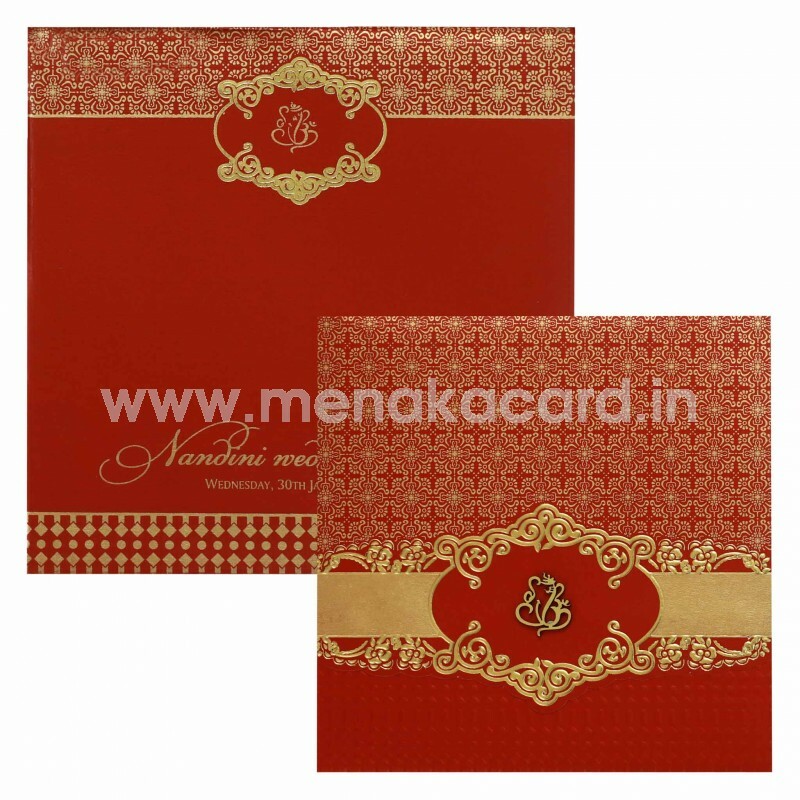 The envelope has the floral damask and geometric patterns printed in gold as strips on the top and bottom of the card housing the ornate frame with the Ganesha as well. This can be used for Hindu weddings and other related occasions.